Ibadan—GOVERNOR Abiola Ajimobi of Oyo State has requested that the case file of the suit instituted against him and the Commissioner for Justice by the Olubadan of Ibadanland, Oba Saliu Adetunji over the review of 1959 Olubadan chieftaincy declaration be withdrawn and given to a new judge. The governor is the first defendant, while the newly installed kings, Commissioner for Justice, and Commissioner for Local Government and Chieftaincy Matters are also joined in the suit. Also listed as 12th to 24th defendants in the suit are the 13 village heads who were promoted to coronet-wearing kings. Two cases were filed against the governor on the same review of the declaration. Former governor Rashidi Ladoja filed one while the monarch, who did not hide his disapproval of the declaration review filed the second suit. 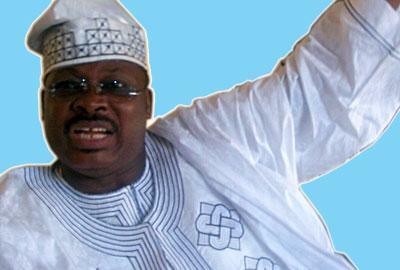 Justice Olajumoke Aiki of the Oyo State High Court had given her judgment on the first case which favoured Ladoja. At the sitting of the court yesterday, the case had been listed for ruling on the preliminary objections raised by Ajimobi and other defendants that Olubadan did not have locus standi to file the case. Justice Aiki, told litigants in the suit that the decision to return the case file to the Chief Judge of the state, Justice Munta Abimbola, was taken based on an application filed by the first defendant, Ajimobi, through his counsel, Mr. Nurudeen Adegboye, which was addressed to the Chief Judge that the case be transferred to another judge in the interest of fair hearing. The case file was then sent back to the Chief Judge after counsel to both parties had argued extensively for and against the application. The post IBADAN CHIEFTAINCY ROW: Ajimobi wants case withdrawn from Judge appeared first on Vanguard News.